Two new series are being released in late April from Red 5 Comics, publisher of the always entertaining Atomic Robo. Official info for the all-ages Bad Dreams, and the amazing looking Haunted below. Haunted, by the way, is on the way to being adapted by the production company of Bryan Singer, director of The Usual Suspects and the upcoming X-Men: Days of Future Past. Cool. BAD DREAMS — a somewhat twisted tale of whimsy — chronicles the adventures of an odd group of Dreamworld characters: Mary, Nimrod, Sir Spanks (a Night Mouse Knight), Spide, and Shroom. Mary wakes to discover both her memory and Night have gone missing from the land. Mother Night’s absence is causing havoc as everyone slowly goes insane from lack of sleep. The friends must pool their resources, working together to uncover the strange secret of their past and exactly who’s behind it all. 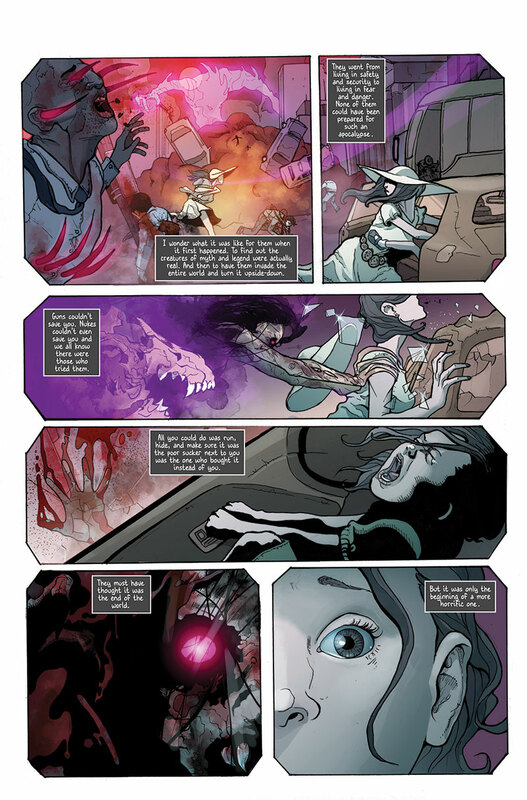 BAD DREAMS is a five-part fantasy adventure by Gary Winnick, a comic book writer, illustrator, and game designer best known for co-designing Lucasfilm Games’ Maniac Mansion. 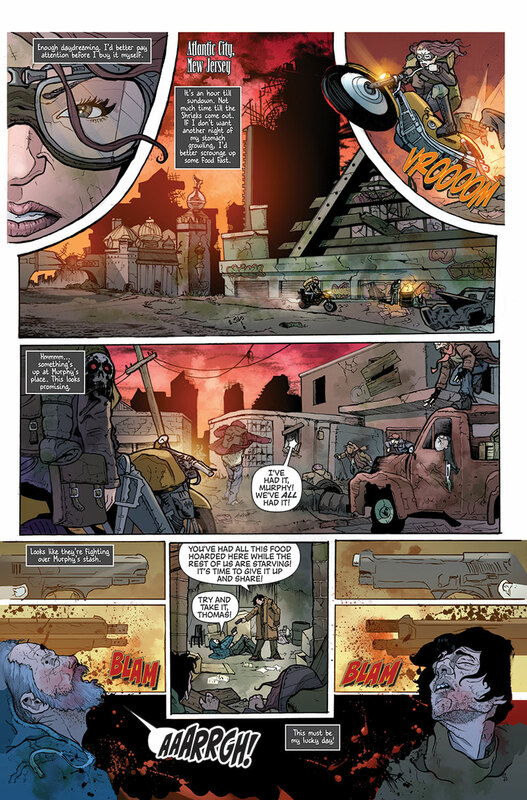 The lavishly illustrated tale will capture the imagination of all comic readers, in the tradition of Red 5’s ATOMIC ROBO and BODIE TROLL. As Red 5 is an independent publisher, the best way to ensure your copy of “Bad Dreams” this spring is to pre-order it before February 28 from your comic shop using order code FEB141419. 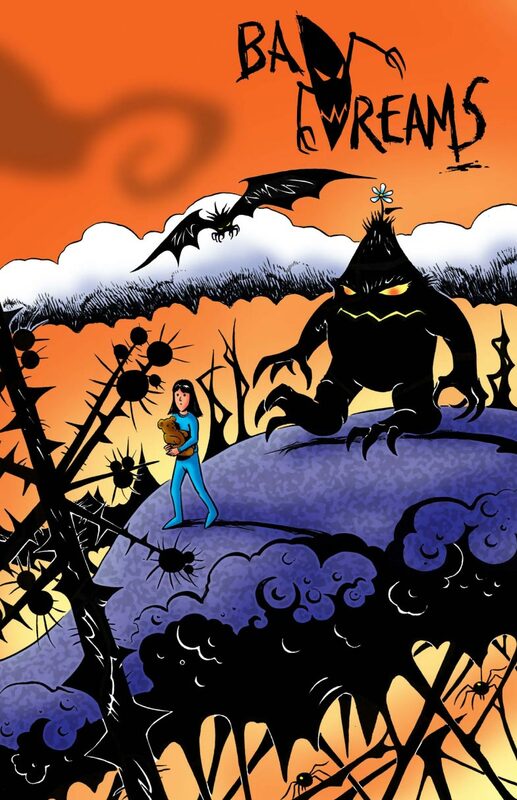 “Bad Dreams #1” of the five-issue series is set for release on April 23, 2014. 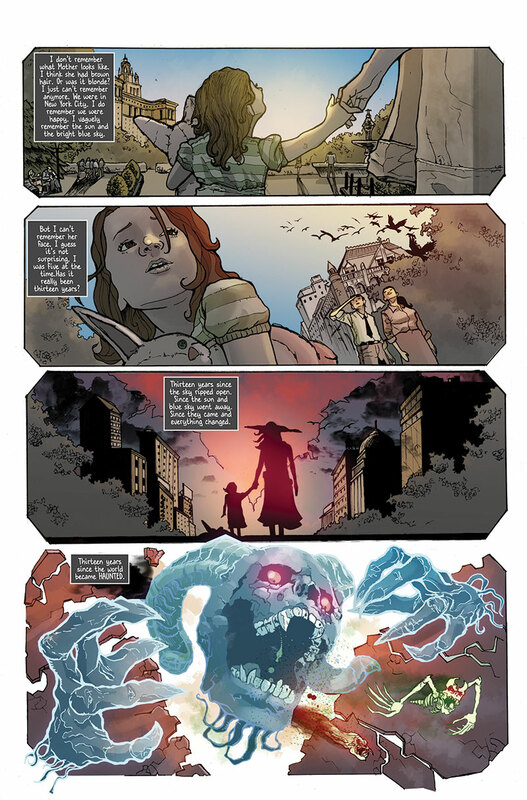 In the story of HAUNTED, the barrier between our world and the spiritual realm was mysteriously torn apart allowing the Earth to be overrun by ghosts, demons and poltergeists. Creatures once thought to be mythological terrorized mankind and society collapsed. Thirteen years later, Sarah McCallister manages to survive by being tough, smart, and looking out only for herself. But when a chance to set the world back to normal arises, she finds herself in the compromising position of putting her faith in strangers for the first time. 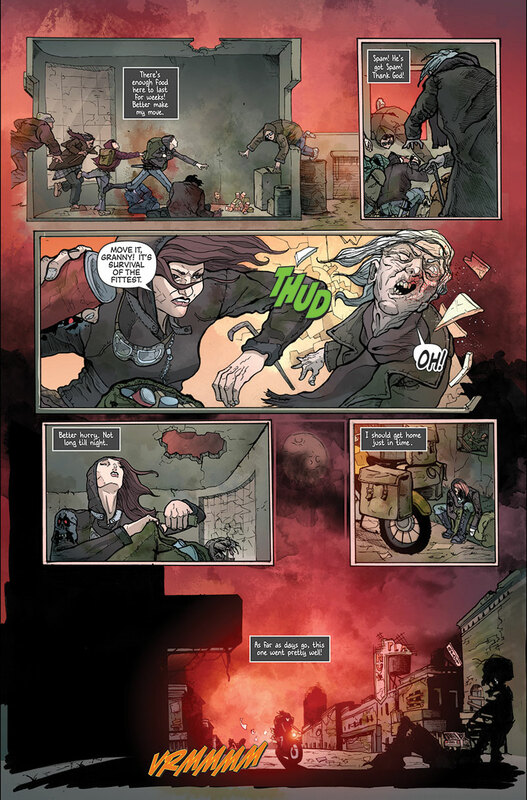 HAUNTED is a four-part horror action-adventure written by Scott Chitwood (DRONE, AFTERBURN, DEAD OR ALIVE), illustrated by newcomer Danny Luckert, and colored by Ivan Plascencia (NEOZOIC: TRADER’S GAMBIT). 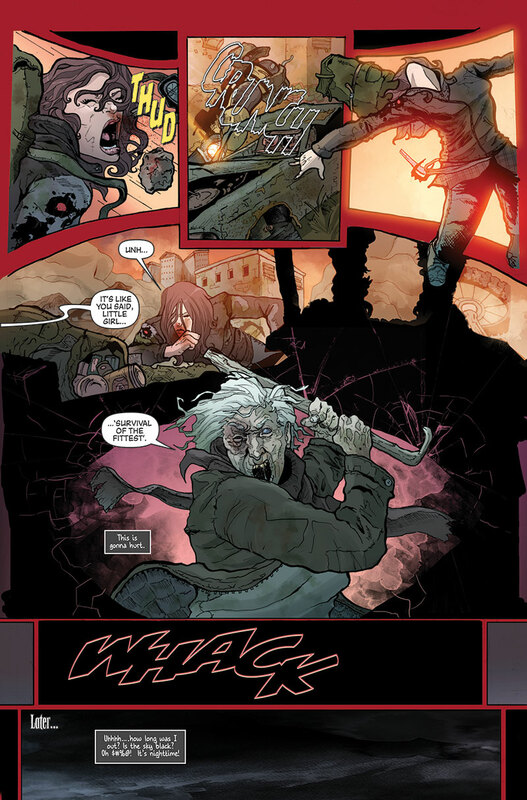 It is also featured in Red 5’s 2014 Free Comic Book Day issue. As Red 5 is an independent publisher, the best way to ensure your copy of HAUNTED this spring is to pre-order it by the end of February from your comic shop using order code FEB141420. 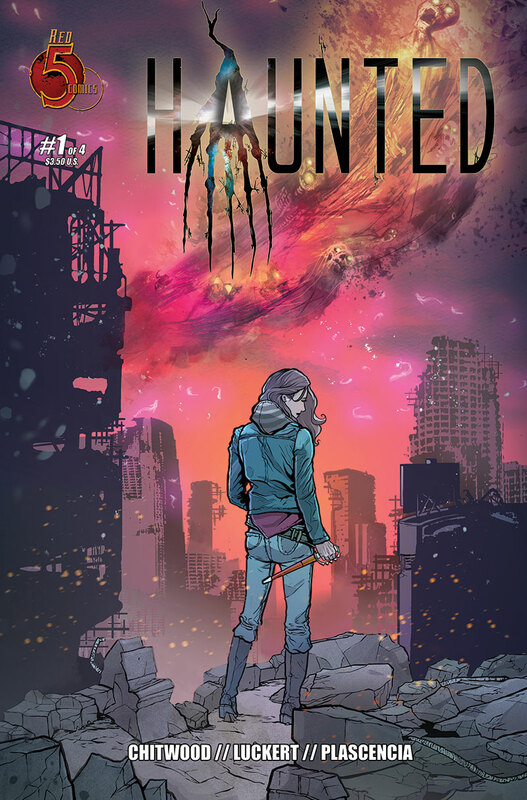 Haunted #1 of the four-issue series is set for release on April 30, 2014.